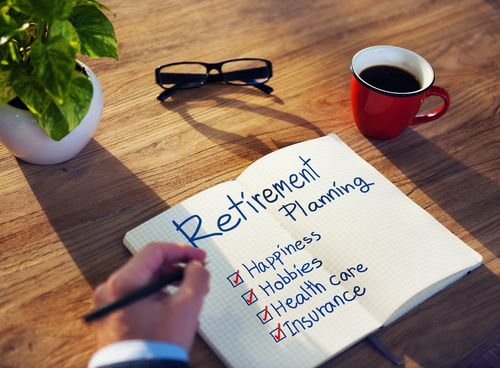 Planning for retirement should always be done with careful thought. It is not enough that you put aside money to increase your retirement fund. Some people just come up with an amount, make sure they set it aside each month and then they leave it at that. Others feel complacent that they will retire with money because of the retirement plan that they have in their work. Apparently, some employers automatically enroll their workers in some form of retirement plan. While this is a great trick to ensure that you are saving for retirement, it may not be enough. First of all, saving and then forgetting about what you are doing is not the best way to prepare for retirement. As you get older, many things will change. It is possible that what you thought about retirement when you started a couple of years ago may no longer be feasible at the moment. This is why you need to make sure that you monitor the progress of your retirement money. Planning for retirement is not a one-time thing. It is just like your budget plan. It is something that you need to revisit time and again to ensure that you are still meeting your targets – or if you still have the right target. According to a research done back in 2016, 46% of Baby Boomers lack retirement savings. It is not like there was a lack of reminders to save for retirement. There have been countless reminders and options to prepare for retirement. Still, some people end up with insufficient funds. The reality is, most of us make a lot of mistakes as we try to prepare for our retirement. However, there are three important mistakes that you absolutely must avoid to keep yourself from ruining your dream retirement. First of all, you need to have an investment strategy. If you want to maximize your retirement savings, you have to learn how to invest it. That means it should not just sit in a traditional savings account. You need to invest it in stocks, bonds, or equity funds in order to make it grow. When your money is invested, it benefits from compound interest. That is how it grows at a faster rate. The challenge here is to find the best investment strategy that offers the best compound interest. The higher the interest rate, the higher the risk of the investment. You need to decide the best strategy based on your retirement needs. Is it okay to have a lower interest if it means a much lower risk? Or do you need to step up your game by taking more risks so you get a higher return? This is a decision that you cannot push lightly. You have to come up with a strategy to know the best course of action for you. This mistake can actually lead to more problems – so you may want to head off this issue while you are planning for retirement. Outliving your retirement money is one of the worst things that can happen. When you reach that age in the future, it will be really hard to earn the money to compensate for what you need to survive. You will be too old to work and you probably have a lot of physical ailments and weaknesses. You need proper medical care and it is not the best time to be short with money. This why you need to be honest with how long you expect to live through retirement. We all want to live a long life but that will cost money. You need to save more if you intend to live longer. There are tools online that you can use to help you determine how long you are expected to live. You have input details about your lifestyle, habits, medical history, etc. These tools should be able to give you a rough estimate – but you might want to still save up for a long time just in case. Finally, you should also consider having a backup plan for your retirement fund. That means knowing your options for a retirement income. For most people, they usually rely on their Social Security and 401(k). If that is not enough, you need to consider other sources of income. In case you own your house, you might want to consider having a part of it rented. You can add that income to what you currently have. Or you can downsize your lifestyle and declutter your life so you can lower your monthly expenses. You can use any income generated after decluttering your home and use it to set up a passive source of income. This is something that can support your current retirement fund. These three mistakes are not the only issues that you might have to face while you are planning for retirement. But these are good places to start. If you have already started saving for retirement, you need to give yourself a pat on the back. Not everyone has thought way ahead like you did. According to statistics, the median retirement savings of working-age households is $3,000. This is hardly enough to cover a financial emergency – much less serve as a decent retirement fund. While your savings may be something good, that does not mean you are already in the clear. You need to continually monitor how your savings are progressing. You have to see if you are still meeting your targets. If you not, then you need to step up your game. There is a clear sign that your initial plans for retirement are not working. It is when you do not have the level of savings that is appropriate for your age. It all depends on the current salary and how long you still have left before you retire. If, for instance, you plan to retire at the age of 65 and you are still in your 30s, you need to have at least twice your annual salary saved up. When you reach the age of 50, you need to have at least 7x your annual salary. Before you retire, you need to have 12x of your current annual salary. Using a calculator is helpful but you also have to realize that this just an estimate. A lot of other factors will come into play if you want to have enough for your retirement. Here are some of them. It is expected that you will have a couple of medical expenses as you get older. But if you have a family history of ailments, you may have to save more to be able to afford health care expenses. Unfortunately, the cost of proper healthcare in the country is quite expensive. While there are benefits available for retired individuals, it is still best to be prepared. Another factor that will affect your target retirement is where you plan to live. Some states or cities in the US are more expensive to live in. You have to decide where you want to retire so you can estimate your monthly expenses. Finally, you also have to consider your preferred lifestyle. A simple life will not be expensive. But if you want an extravagant lifestyle, that might require more funds. You need to save more so you can afford the type of lifestyle that you want to have. If you have to keep on traveling, that will require more. Consider how you want to live your life and what you want to do when you retire. That will give you a rough estimate of how much your monthly budget should be.